What is a Keystone NRG?  Browse Keystone NRG RVs for sale on RvTrader.com. 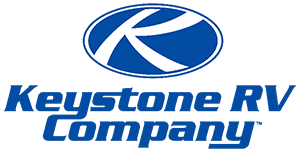 View our entire inventory of New Or Used Keystone RVs. RvTrader.com always has the largest selection of New Or Used RVs for sale anywhere. 2006 Keystone NRG 260FS, This toy hauler is in great condition and is perfect for your next camping adventure! Come in and check it out today for more information! Hmm, looks like we only found 2 RVs. 2020 Keystone RV Laredo 290SRL, Keystone RV Laredo Super Lite fifth wheel 290SRL highlights: Two Refrigerators Kitchen Island Booth Dinette Fireplace Two Awnings Ground Control Just imagine relaxing on the tri-fold sofa sleeper or lounging in the theater seating while visiting with the cook at the kitchen island or grabbing produce and ingredients from the two refrigerators. The grandkids might even be playing games or eating a meal at the booth dinette in this Laredo Super Lite. This is just a snippet of what you can do while you are on vacation when you own this model. You might even decide to choose the free standing dinette option before you leave the dealership. Step inside to find more "must have" features. Keystone Laredo Super Lite fifth wheels are the units you should be looking at when considering your next RV. From the Road Armor suspension system, the automatic electric leveling system, the fully enclosed underbelly, and the lighted and heated pass-through storage, to the 50" residential shower, solid surface countertops and raised panel cabinet doors, you will enjoy everything about these fifth wheels. Keystone's exclusive KeyTV providing a multi-source signal control that improves signal quality and television operation, and the industry's first 4G Lite and WiFi prep, will keep you connected. Choose your favorite layout today! 2019 Keystone LAREDO 250BH, Keystone's Laredo 250BH is loaded bunkhouse travel trailer. This is a 1/2-ton towable (8400 lbs GVWR) 30' travel trailer that has the luxuries of a much higher end camper. Entertain outdoors with the electric awning, LED lighting, outdoor speakers and outdoor kitchen! Enjoy more time camping with the easy-to-use electric leveling jacks and hitch jack. The interior has leather furniture, higher-end fixtures and solid surface counters - normally not found in bumper pull campers. The master suite has a walk around queen bed, plenty of wardrobe storage and a large glass enclosed shower. Whether you are hitting the back country, the highway or RV parks - the 2019 Laredo 250BH is the RV for you! 2019 Keystone RV Bullet 272BHS, Keystone Bullet travel trailer 272BHS highlights: Dual Entry Double Bunk Beds Single Slide Private Bedroom 15' Electric Awning Your family will enjoy any camping trip you take when you travel with this Bullet travel trailer. This is the ideal trailer for a large family because it contains all of the accommodations you need to sleep nine people each night. The single slide maximizes the living space and gives this trailer room for a set of double bunk beds which will have the kids jumping with excitement whenever you tell them it's bed time. Because this unit has a dual entry, you have direct access into the rear bathroom which eliminates mud being tracked all over the clean floors as you make your way to the shower. Whether you're spending your time soaking up the sun at the edge of the lake or trekking into the forest on a hunt for fresh berries, the Keystone Bullet travel trailer will not only get you to your destination, but it will also keep you happy while you're there. With the most luxury features of any other ultra lite trailer, like the exterior speakers, laundry chute, and LED lighting, the Bullet continues to provide the number one ultra lite travel trailer in America. Because of the contoured shape of the radius front profile on the Bullet, it offers less wind resistance as you tow it along the highway, and when you combine that with the extremely lightweight floor plan design, you get one unit that will help you cut costs when spending money on fuel. 2019 Keystone HIDEOUT 303RLI, 2019 Keystone Hideout 303RLIWhen the founder of Keystone RV in 1996 his vision was clear: Build a quality RV loaded with features priced thousands less than other RVs on the market. To accomplish his goal, he would recruit and build a strong team, focus on keeping overhead low, and empower the people closest to the customer to make decisions. When companies grow they can quickly lose focus. Within Keystone RV they treat each brand like a small, separate company. So much so that each brand has their very own manufacturing plant, production team, engineering team, quality control team and even their own sales support team. Their only focus is that brand and its customers! This enables them to become experts within each of these brands, resulting in unprecedented attention to detail.Dixie RV SuperStores has been selling quality recreational vehicles since 1984 and has developed into the largest volume RV dealership in the Florida panhandle. This is a hard-earned title from years of providing quality RVs at competitive prices and providing superior customer service.Dixie RV SuperStores will provide you with the best RV experience possible by offering you the largest and most diverse selections of new RVs and pre-owned RVs in the Country. Dixie RV SuperStores stocks everything from the ultimate luxurious Class A gas and diesel motorhomes to a huge selection of Class B Motorhomes, Class C Motorhomes, Toy Haulers, 5th Wheels, and Travel Trailers. 2019 Keystone RV Fuzion 371, Keystone Fuzion toy hauler 371 highlights: Fireplace Private Front Bedroom Bath and a Half Separate 11' Garage This 371 Keystone Fuzion toy hauler fifth wheel is exactly what you need for a comfortable and convenient get-a-way to the playground of your choice. That's right, pack up the big toys and head to the trails, dunes, or lakeside retreat! Close to running out of gas? Use the 30 gallon fuel tank to refuel! Everyone will love using this unit whether you have great weather or it's starting to look a little gloomy outside. Play until you can't play anymore and then take a rest on any of the sleeping arrangements that are provided. Check out this unit today! Fuzion toy hauler fifth wheels are "More than a Garage." They give you a place to store your toys while you are traveling yet give you the comforts of home. All of the countertops are solid surfaces, so cleanup is a breeze and all the storage in these units are solid cherry hardwood. The things that set Fuzion apart is the 5K Interlock System that they have created. This system is the toughest tie-down around! Each tie is welded into the metal which makes each tie down virtually unbreakable and can hold up to 5,000 lbs. Along with the tie-down system, you also have Dexter EZ Lube Axles which allow grease to flow to both inner and outer bearings easily. The In-Command RV automation and control system is something you don t want to miss out on. This system controls all the lights, the 6pt Hydraulic Level-Up System, the awning, plus so much more all within an app on your phone. You don't need to settle, choose the "Hottest Brand in the Industry." 2019 Keystone Cougar Half Ton 29BHS, Your favorite family memories are yet to happen! Go explore this great continent with the 2019 Keystone Cougar Half Ton 29BHS! It's an amazing Travel Trailer, built for long distance road trips with the family! You can find this model and others from the top RV brands in the nation at Lakeshore RV Center, the #1 RV dealer in Michigan! With our factory-direct prices and exceptional customer service, we've become one of the most popular dealerships in the nation! Even if you don't live near Muskegon, we can utilize our 24/7 nationwide delivery service to bring your dream RV to you! So stop by our location at 4500 E Apple Ave Muskegon Michigan 49442, or give us a call at 231-788-2040 to talk to one of our Cougar Half Ton experts today!This 34' 9" Travel Trailer will keep you comfy and cool outdoors while you enjoy the fresh air under its 20' 0" patio awning. When you're on the road, this Cougar Half Ton is designed to tow easily with its hitch weight of 810 lbs, ship weight of 6915 lbs, and GVWR of 8800 lbs.Keep cool in the dog days of summer with the efficient 15000 BTU a/c unit, or heat up the interior on frigid winter nights with the 35000 BTU furnace! This model is length] long, 8' 0" wide, and 11' 4" high, so you won't feel cramped when you camp!You and your family won't miss any sleep over the weekend with this RV, which sleeps up to 10 people! You and your loved one will get an extra good night's rest on the King bed!You can whip up all of your favorite meals in no time, no matter where in the world you are thanks to the kitchen and all of its modern cooking appliances! Keep your fresh food fresh in the 8.00 cu. ft. refrigerator, and then make a sizzlin' great meal on the 3 burner range cooktop! You don't have to stress out about not having enough water to wash, drink, and clean with. Just fill up the 60 gallon freshwater tank for an abundance of water!Trust us, you want to avoid the communal rest area. It's cold, damp, messy, and lacks privacy! Thankfully, this RV comes with a bathroom, so you can use a Foot Flush toilet and shower in comfort and privacy! Your showers won't be running out of hot water anytime soon thanks to this model's 60 lbs. of LP tank capacity! For added convenience, there are also a 60 gallon gray water tank and a 30 gallon black water tank!andnbsp;You'll have peace of mind knowing that your kids or guests will sleep comfortably in the Bunkbeds that come with the bunkhouse.andnbsp;If you love to cook out in the fresh air and sunshine, then you'll love the outdoor kitchen! It opens easily and you can cook up brats, burgers, chicken, eggs, bacon, and flapjacks! Great for tailgating before the big game too! 2019 Keystone RV Montana 3760FL, Keystone RV Montana fifth wheel 3760FL highlights: Five Slide Outs Rear Bath Master Suite Kitchen Island This fifth wheel with a front living area and a full rear bath will fit your family of six perfectly. You'll find dual opposing slides in the living area, plus two hide-a-bed sofas and power theater seating. The chef of the family will love the kitchen that features a kitchen island, dual opposing slides to create more interior space, a pantry/buffet, plus a convenient half bath for guests! The master suite will more than please you with its queen bed slide out with storage underneath and a dual vanity sink in the bathroom for added convenience. When packing for your next trip in a Keystone Montana luxury fifth wheel you will appreciate the enormous drop frame pass-through storage compartment, the MORyde "Step Above" entry steps with strut assist, and the LED light package including "super-bright" taillights with backup marker and off-door scare light. The Montana 20th Anniversary Edition adds exclusive features such as the Key TV satellite prep, LED accent lighting, Tru-fit slide construction, and Easy Sweep resilient flooring. You will love the in-floor heating ducts, which allow for more airflow to be distributed evenly for optimal comfort. the LED motion sensor light in the pass-through compartment and convenience center, plus the Four Season Living package allowing you to travel whenever you like. It's time to find the luxury fifth wheel you can enjoy for years to come, choose a Montana by Keystone today! 2019 Keystone Cougar Half Ton 29RKS, Transportation is less of an issue with a hitch weight of 1605 lbs. and a dry weight of 8700 lbs. This 5th Wheel has a length of 33' 7" long and a GVWR of 10400 lbs. Enjoy the shade of the 20' 0" awning when you reach your destination!Your family will enjoy amazing RV fun and comfort, thanks to its roomy 33' 7" length and generous 8' 0" width! The 3 slides open up the living space even more! It's fun to enjoy the outdoors when you're RVing, but sometimes, the weather doesn't cooperate. That's when you'll appreciate the 35000 BTU furnace and the 15000 BTU air conditioner. They'll keep you comfortable no matter how extreme the weather is outdoors!Sleep up to 6 people with this spacious Keystone Cougar Half Ton! This 5th Wheel has comfortable furniture perfect for resting after a long day on the road. The cozy Queen bed helps you sleep like royalty and feel rejuvenated all vacation long!Make great meals for your family and friends in the kitchen, because it comes with a 3 burner cooktop and 12.00 cu. ft. refrigerator that you can stock up with delicious food! Never run out of water for doing dishes with the 60 gallon freshwater tank, and you'll have plenty of water left to quench your whole family's thirst!The full bathroom comes with a modern shower and a convenient Foot Flush toilet! Everyone can enjoy leisurely showers and wash-ups thanks to the generous 60 gallon freshwater tank and LP tank capacity of 60 lbs! Dirty water and waste are stored in the 60 gallon gray water tank and the 30 gallon black water tank, respectively.andnbsp;Nothing tops off a great day of outdoor family fun better than a great family meal cooked in the fresh air and sunshine. The Keystone Cougar Half Ton 29RKS has a great outdoor kitchen that makes it easy to do just that! 2019 Keystone RV Bullet 272BHSWE, Keystone Bullet travel trailer 272BHSWE highlights: Dual Entry Double Bunk Beds Single Slide Full Bathroom 15' Electric Awning Your family and friends will enjoy any camping trip you take with this Bullet travel trailer. Because this unit has the capability to sleep nine people, it is the ideal trailer for a large family. One feature that truly helps maximize the overall living space is the single slide that houses the booth dinette and 68" sofa. The two entry doors are a very handy addition to this trailer because they allow you to easily come and go, and because one of the doors provides direct access into the bathroom, you can head straight to the shower after a swim in the lake or a hike in the woods. Your kids will most certainly appreciate the double bunk beds, and you will enjoy a quiet evening of rest on the queen-size bed in the front, private bedroom. Whether you're spending your time soaking up the sun at the edge of the lake or trekking into the forest on a hunt for fresh berries, the Keystone Bullet travel trailer will not only get you to your destination, but it will also keep you happy while you're there. With the most luxury features of any other ultra lite trailer, like the exterior speakers, laundry chute, and LED lighting, the Bullet continues to provide the number one ultra lite travel trailer in America. Because of the contoured shape of the radius front profile on the Bullet, it offers less wind resistance as you tow it along the highway, and when you combine that with the extremely lightweight floor plan design, you get one unit that will help you cut costs when spending money on fuel.